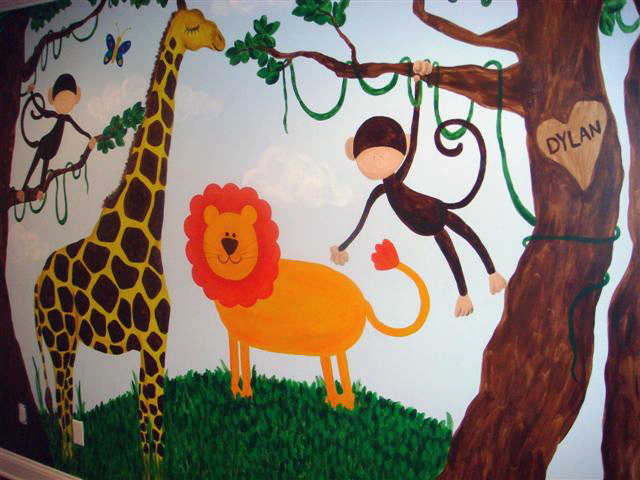 To paint a jungle themed mural in a small nursery. 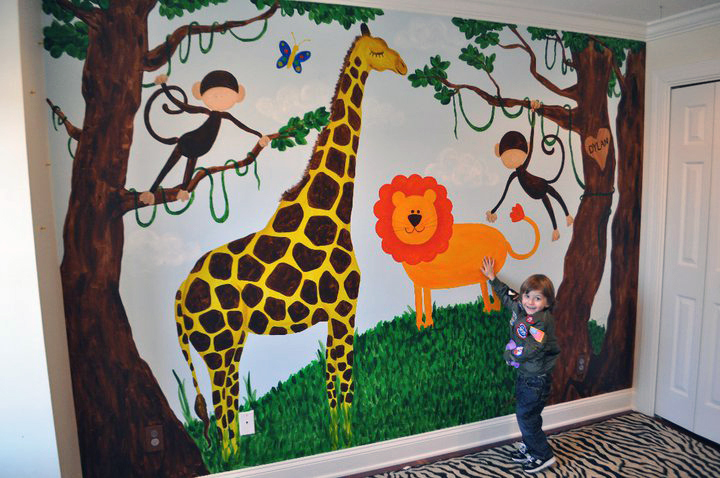 The bright colors and happy animals adds character to a small space. Only painting one wall left lots of space for the baby's needs around the room.